Talk about supermodels! 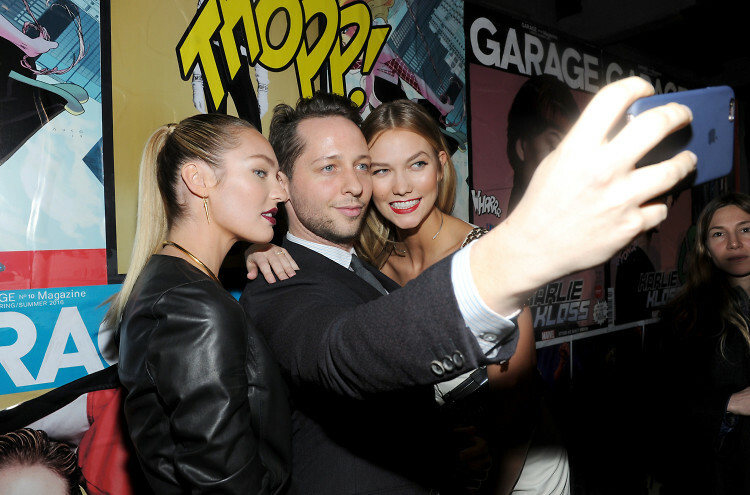 Last night, GARAGE Magazine celebrated its 10th issue, featuring Karlie Kloss, Candice Swanepoel, Adriana Lima, Lexi Boling and Cuba Tornado Scott as Marvel's coolest female superheroes. Of course this called for super-powered NYFW bash with the iconic comic brand. EIC Dasha Zhukova and Disney CEO Bob Iger were joined by a slew of fashionable names like Derek Blasberg, Mira Duma, and Hari Nef, at Mercer Parking Garage - a fitting spot for the mag. The five covers (shot by Patrick Demarchelier) were on display at the site, and guests using the GARAGE app were able to scan each one and see the stars in 3D. Don't you love it when fashion and technology collide? Who was there: Guests included Karlie Kloss, Candice Swanepoel, Lexi Boling and Cuba Tornado Scott, Dasha Zhukova, Bob Iger, Coco Rocha, Stella Schnabel, Derek Blasberg, Natasha Poly, Emily Ratajkowski, Miroslava Duma, Hanneli Mustaparta, Charlotte Wiggins, Anna Ewers, Lindsey Wixson, Jasmine Sanders, Ashley Graham, Precious Lee, Katie Grand, Inez Van Lamsweerde and Vinoodh Matadin.